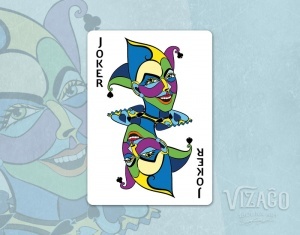 VIZAĜO Playing Cards reached the funding goal on Kickstarter this week! 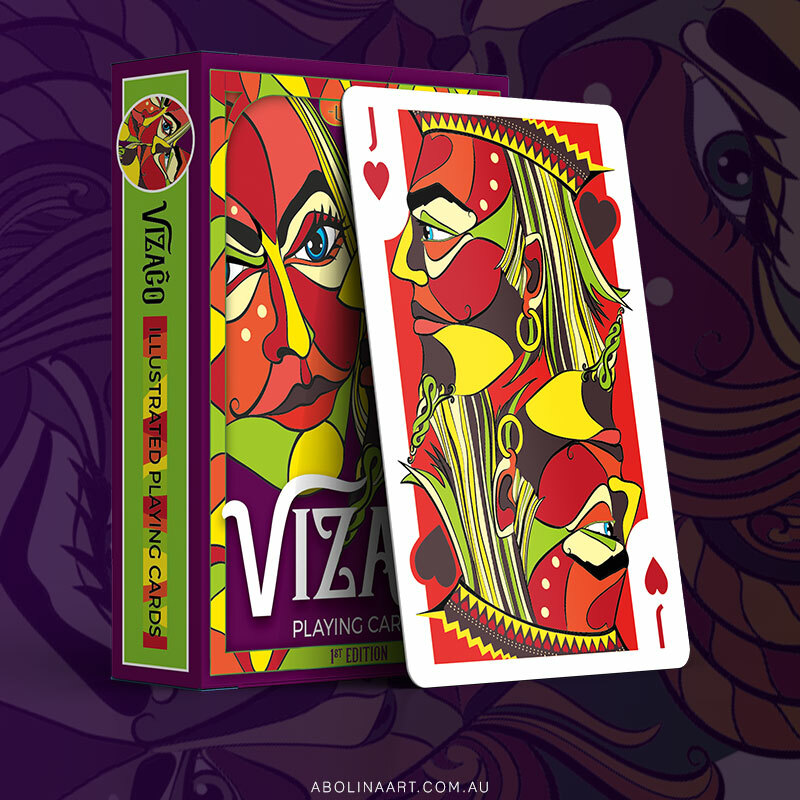 With just 5 days remaining on the campaign and 104% funded, it looks as though this deck is heading to the printing presses! These cool little keepsakes will be included automatically based on the number of decks pledged for (they cannot be ordered as add-ons). The two versions of buttons (red & blue) measure 3.8cm in diameter and have a pin on the back for fixing to your jacket, bag or hat. 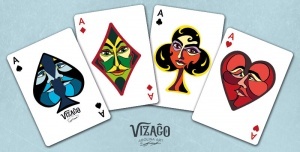 Wear the colourful faces of VIZAĜO with pride when you pledge for 3 or more decks in the campaign. Thanks for visiting and all the best! What a lovely idea. 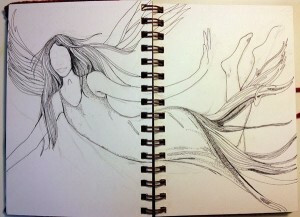 It all feels a bit like Christmas. . .